From August of 2009 to April of 2012, David and I (mostly I) posted a series of entries on the spread of 3D film production and exhibition. The series kicked off with my provocatively titled, “Has 3-D already failed?”. It had a lot of background facts and figures, but the main point was to express skepticism about the extravagant claims that were being made by some in the industry who predicted that eventually most or even all films would be released in 3D. I opined that 3D would probably remain confined to certain genres, mainly animated films and big action pictures. At the time, Julie & Julia was my example of the type of film that would never be made in 3D. Today it could be Can You Ever Forgive Me? I followed up four times during 2011, as 3D continued to spread. In January I posted “Has 3D already failed? The sequel: RealDlighted.” Hollywood was just coming off the year that 3D admissions as a percentage of total box-office peaked at 21%, to a considerable extent thanks to Toy Story 3. Of the top eleven grossers, seven were in 3D. 3D TVs had become a significant force in the electronics market that year as well, though sales were lower than predicted. Conversion of screens overseas was also proceeding apace. That surge would eventually fuel the continued production of 3D films in the US, despite their decline in the domestic market. Already, though, industry commentators were predicting that decline. I cite some of them and their arguments in this entry. Our entry was followed later in January by the second part: “Has 3D already failed? The sequel: RealDsgusted.” I dealt with the backlash among audiences and critics, especially in the face of conversions of past films to 3D. Not being a fan of 3D, I pointed to the one film in that format that I looked forward to seeing: Herzog’s Cave of Forgotten Dreams (2010). It did not disappoint, and its tour of the Chauvet cave, not open to the public, struck me at the time as an ideal use for 3D. I still think so. 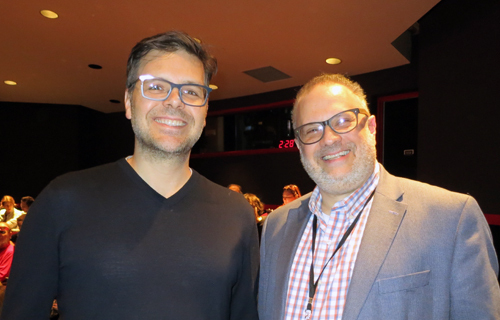 In July, in “Do not forget to return your 3D glasses,” I examined the fact that 3D films’ shares of total box-office takings were falling. It wasn’t by much, only from 21% in 2010 to 18% in 2011–but there were more 3D films released that year, and a lot more theaters were equipped by that time to show them. In April, 2012, David weight in on the roles played by James Cameron and other powerful directors in pushing digital projection and 3D, in his “It’s good to be King of the World.” That entry, extended and updated, became a chapter in his e-book, Pandora’s Digital Box. 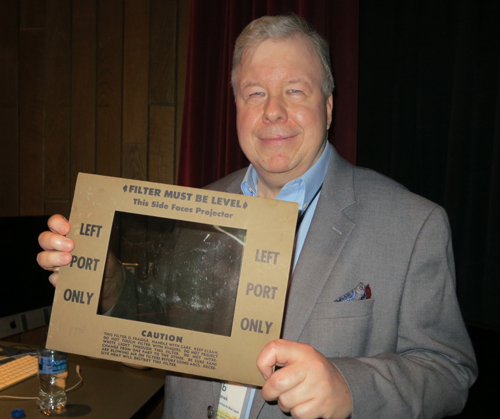 Our series got quite a bit of attention because Roger Ebert, a foe of 3D, cheerfully linked all of our entries. As it turned out, our series appeared just after the technique had begun its slow drop in the percentage of total box-office receipts provided by 3D screenings. Assuming the decline has continued, by 2018 that percentage might have been as low as half the high of 21% in 2010 (fueled primarily by Avatar, which was released on December 18, 2009). Will Cameron’s current big 3D project turn the tide? I’ll have a little to say on that at the end. Ironically, at about the same time that our series closed, we became increasingly interested in the format. Not that we had completely rejected it to begin with. There had been some excellent animated films made by Pixar, Laika, and Disney. The occasional auteur dabbled in the format, as when Scorsese made Hugo (2011). This is a far cry, though, from believing or hoping that 3D would become universally used. Again, who would want to see If Beale Street Could Talk or Vice in 3D? 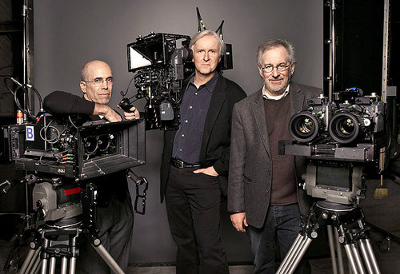 But the technology improved, and the films got better-looking. 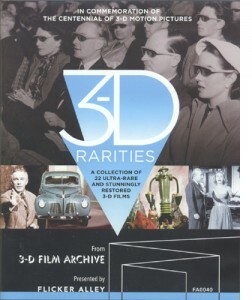 More auteurs utilized 3D. There was Cuarón’s Gravity (2013), perhaps the first film in which the 3D effects were utterly convincing. 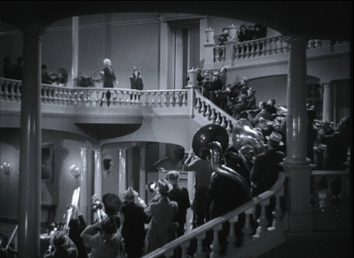 That was partly because so many shots were largely or entirely digitally created and partly because of innovative lighting technology. I still think it’s the only film I’ve seen that is dramatically better in 3D than flat. In 2016, Spielberg made the underappreciated The BFG. At the opposite end of the spectrum, Jean-Luc Godard proved that 3D technology could be simple indeed and still create a masterpiece like Adieu au langage (2014; see here and here). That and Gravity are the only films that I think really must be seen in 3D. Interestingly, 3D televisions provide the first method which allows someone analyzing a 3D film to watch it on a personal viewer rather than needing it professionally projected on a screen. You can freeze the frame, and the 3D image hovers before you. These days, it seems that unless you live in a large city, if you don’t catch a 3D screening early a film’s run, it will later only be showing flat. I first noticed this diminution in the number of 3D screenings last summer. Incredibles 2 was showing at our local multiplex, Marcus Point Cinema, part of the Marcus chain of nearly 700 Midwestern theatres, and I wanted to see it in 3D. 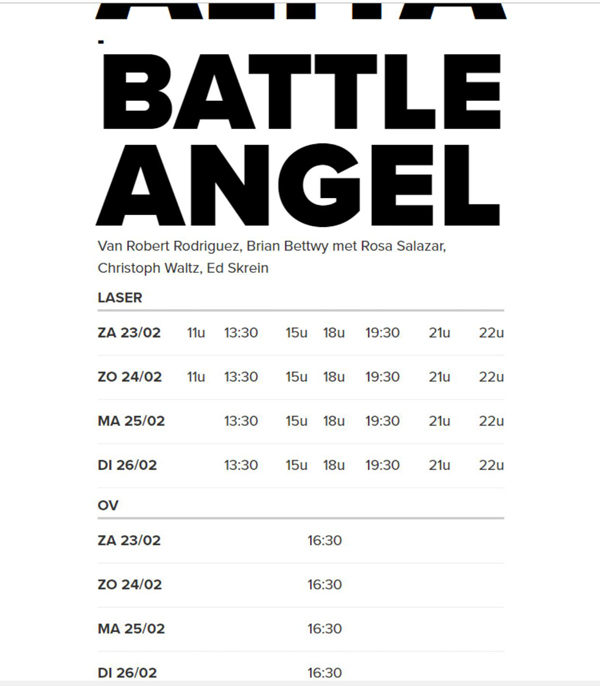 Checking the theater’s schedule, I was startled to discover that the 3D version was playing only once a day, at 8am. There were 17 showings in 2D. The film had opened on June 15 and thus had been out a little over two weeks. David and I usually wait for a few weeks to see a popular film so that the crowds will die down. I expected that there would be few people at an 8 am show, so I set my alarm and set out early the next morning for Point Cinema. I purchased my ticket, and as I was moving away from the ticket desk, I heard the woman behind me purchase tickets to Incredibles 2 for herself and her two children. She bought them for the 8:10 am screening in 2D. The children were not too young to cope with 3D glasses, and the family was there early enough to attend the 8 am screening with me. Whether through a wish to save money or simply by preference, they had chosen to see the film in 2D. Indeed, I had the pleasure of a completely private screening. Another of 2018’s big 3D films was also playing, as the schedule above shows. Jurassic World: Fallen Kingdom (which I didn’t see) had two 3D screenings per day, against sixteen flat ones. It is notable that five of those were on the “Ultrascreen.” This may suggest that large-screen showings with elaborate sound systems, including IMAX, are more attractive to audiences than 3D, even when these large-screen showing also involve an upcharge. More about that later. 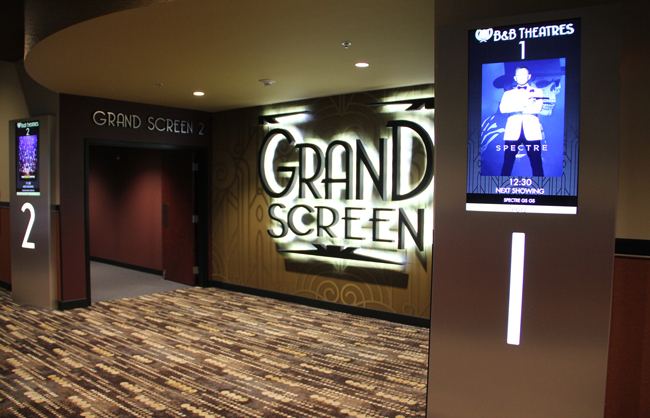 Point Cinema was showing the film twice in 3D, four times flat on its Ultrascreen, and nine times “standard,” as 2D on an ordinary screen is now known. 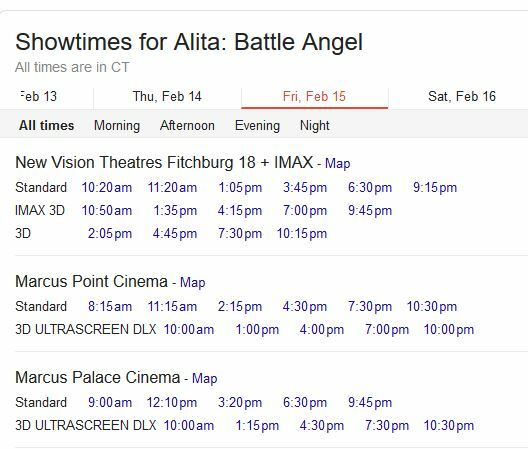 Its rival theater, New Vision Fitchburg 18 + Imax, had no 3D screenings at all; as the possessor of our only IMAX screen, it had four flat screenings and seven standard ones. Again we see the considerable imbalance, with two 3D screenings versus fourteen in 2D. The same pattern holds even during the first week of the film’s run, in both theaters. In this case, however, the 3D screenings seem to have ended sooner than we expected. We went to Ralph on December 7, and there was no 3D showing available, so we saw it in 2D. The same ended up being the case with Spiderman: Into the Spider-Verse, which apparently had no 3D screenings after its first or second week. That’s a film we have been told would distinctly benefit from being seen in 3D, but we missed our chance. So far it’s not even clear whether the film will be released in 3D for home video. I decided to try a similar exercise with a much larger city: Chicago. 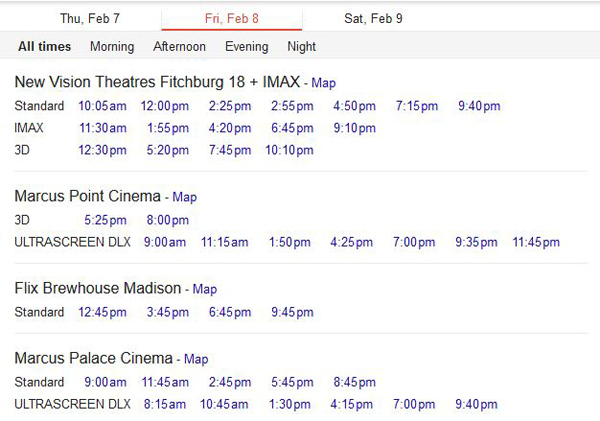 Of the theaters selling tickets on Fandango for Saturday, January 26, 375 screenings were of 2D versions, and eight of 3D films, all of the latter at AMC theaters. One of the latter is of A Beautiful Planet, an Imax documentary. Five of the 3D screenings were of Aquaman and two of Spiderman: Into the Spider-Verse. I realize that awards season is not the ideal time of year to be looking at statistics of 3D films. Many of the films currently playing in cinemas have Oscar and other nominations, and have been held over to play only a few times a day to take advantage of that fact. On the other hand, there are some films, including Oscar nominees, that could plausibly have been made in 3D a few years ago and were not. These notably include Mary Poppins Returns, Glass, Bumblebee, and First Man. (M. Night Shyamalan has said he would never make a film in 3D, but Glass is the sort of film that another director might have made in that format.) I’ll try the same exercise during the summer movie season and see what the balance is. I’m sure there will be more 3D screenings proportionately than there are now–but probably not as many as in 3D’s heyday of 2010 to 2013. Even an event film that depends heavily on its flashy technical aspects, Peter Jackson’s restored, colorized, 3D-ized, sonorized documentary, They Shall Not Grow Old (2018), was shown here in Madison more often in 2D. It played on two days in late December. On the first day, 3D was available, but we saw it on the second and had to settle for 2D. It was brought back again recently for a short run, and we saw it again, this time at the single daily 3D matinee screening available. 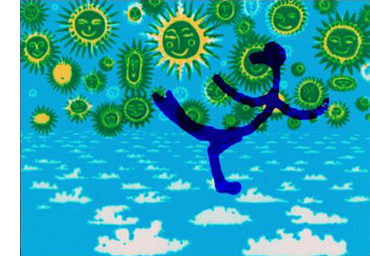 There were five 2D shows on the Ultrascreen. This time Marcus’ other local multiplex didn’t show it in 3D at all. We thought that seeing They Shall Not Grow Old in 3D was interesting and worthwhile. Still, we had thought it very effective without the 3D. The restoration, color, and sound were the most remarkable parts of Jackson’s transformation of the old footage. Four theaters, including three multiplexes, were playing the film that day. There were a total of 40 screenings, 16 of them standard, 18 in IMAX or Ultrascreen DLX auditoriums, and six in 3D. None of the latter were on large-format screens. As in earlier cases, the Marcus Palace Cinema had no 3D screenings, even for the opening weekend; it does have 3D capacity. It has two Ultrascreen DLX auditoriums, which the managers seem to favor over 3D. Flix Brewhouse Madison does not have 3D facilities, but as its name implies, one can consume sandwiches, beer, and so on while viewing films. 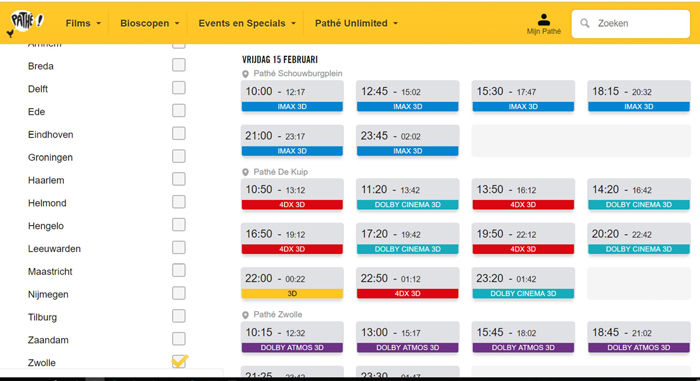 This reluctance on the part of theaters to devote their screens and time-slots to 3D reflects the general decline in the format. 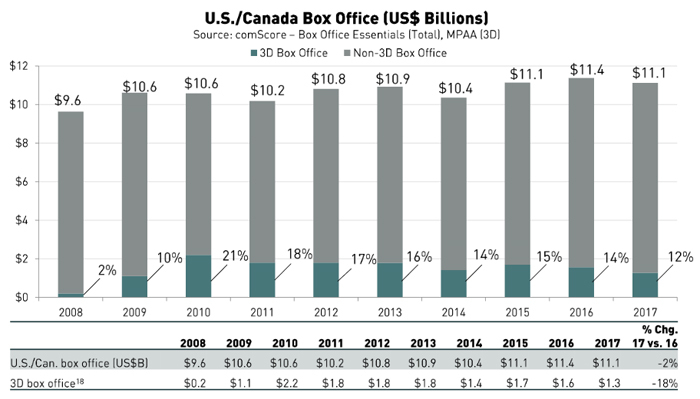 According to Variety, ever since Avatar (2009) pushed cinema owners to invest in 3D equipment (and in the case of those who hadn’t converted yet, to switch to digital projection), 3D has declined. From $2.2 billion in grosses in 2010, fueled largely by Cameron’s film, the figure had shrunk to $1.3 billion in 2017. That year only 44 films were released in 3D, dropping from 52 in 2016. We’re all familiar with the reasons for this, which we discussed in our series linked above and which continue to be chewed over in the press. People don’t feel the upcharge is worth it. Small children can’t keep the glasses on. Some moviegoers get headaches from the glasses. The projection system and the glasses often create a dimmer image. 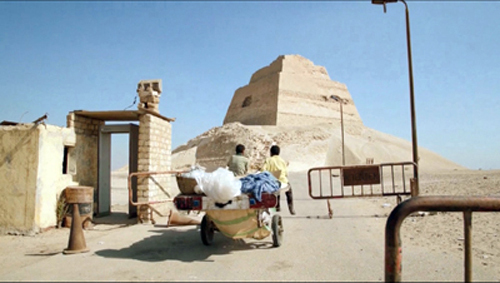 Virtually all 3D live-action films have some shots converted to 3D in post-production. The post-production conversion process has improved, but some early shoddy post-production conversions gave people the idea that only native 3D films are worth watching. Theater owners and managers have their own set of reasons for not wanting to show 3D. We haven’t been able to find out the range of terms distributors set for theaters renting a film. Are 3D screenings required for any film offering that option? Are there minimum numbers of screening? Must the screenings be in auditoriums of a minimum size? How long does the 3D run have to be? Still, I have gleaned a bit of information from people involved in exhibition. One employee of a multiplex told us that a film released in a 3D format had to be given some 3D screenings at the opening week of the run. The exhibitor could then continue the 3D shows if the box-office receipts warranted it. This makes sense, as the distributor is getting a cut of the takings. Given 3D’s decline in popularity, this pretty much explains the pattern of the small numbers of screenings reflected in the schedules illustrated above. The owner of one Midwestern small-town theater pointed out to us that the 3D upcharge in itself hurts the theaters. He declined to convert to 3D back when distributors were pushing theaters to do so. At the time, he recalls that about fifty cents of the proposed $2 upcharge went to the 3D firm and the distributor got a percentage of the remainder. Moreover, as he put it, “For a family of four that’s $8 less for vending – that’s my reasoning.” As we know, movie theaters typically depend on their customers buying expensive treats at the concession stand (and increasingly on meals, whether consumed in their theater seats or at a restaurant positioned in the lobby) to make a profit. 3D also is losing out to an attraction that moviegoers are proving more willing to pay extra for: PLF or Premium Large Format auditoriums. The most high-profile of these is IMAX, which starting out in the 1970s as a largely museum-based attraction showing its own short documentaries. It branched out into occasionally showing studio feature films, starting with Disney’s Fantasia 2000 (2000) and continuing with such event films as the last five Harry Potter installments. It was when IMAX films went from being shown on 70mm film to a digital format (introduced in 2008) that it really took off, since existing multiplexes could convert an auditorium to an IMAX venue. 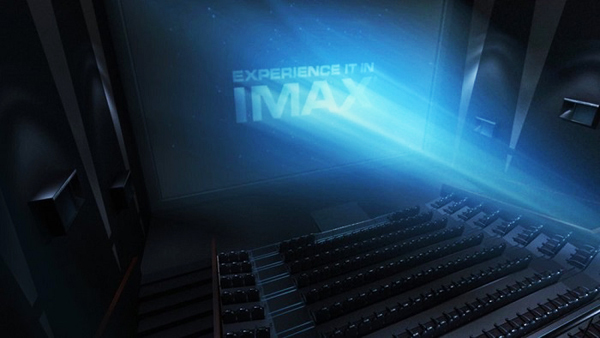 From 299 screens worldwide in 2007, IMAX expanded to 1302 by September, 2017. Of those, 1203 were in multiplexes. For much of this time IMAX screenings were often in 3D. With the waning popularity of that format, however, in July, 2018, IMAX announced that it was cutting back on 3D. The success of Dunkirk in 2D IMAX was cited as proof that people would accept even a period war film not involving Americans if shown in the large format and flat. The announcement specified that IMAX screenings of the forthcoming Blade Runner 2049 would be only in 2D. The fact that Christopher Nolan had shot much of Dunkirk using an IMAX film camera became a publicity point for the film. Similarly, the fact that Cuarón shot Roma in digital large-format featured in popular coverage (the camera was an Alexa65). The irony that the film would mainly be seen on TV screens was not lost on commentators, but at least it received a limited theatrical release, including 70mm screenings. Large, sharp, flat images were winning out over 3D. The Ultrascreen DLX mentioned above in some of the Marcus schedules is a somewhat smaller version of IMAX combined with luxurious surroundings. The chain’s website provides details. The UltraScreen DLX® concept features three important S’s – screen, seating and sound. A massive screen size coupled with HEATED DreamLounger℠ leather recliners provide maximum comfort, including a spacious seven feet of legroom between the rows of seats. Add immersive, multidimensional sound for a lifelike experience that makes guests feel part of the action. Speakers are located in the front, back, sides and ceiling to bring even more dimension to the audio of a film. The system of speakers described is an Atmos installation. In many cases, these large-screen auditoriums include other “premium” aspects, such as the big reclining seats, wide gaps between rows, and elaborate sound systems. As with 3D, the ticket price involves an upcharge, but since no fee goes to the 3D company for the glasses and other expenses, the theater owner keeps more of that extra money. It’s common to point out that China, now the world’s second largest movie-exhibition market and soon to become the first, loves 3D. The Chinese are building new theaters at a fast clip, and a high proportion of the new screens have digital 3D capacity. In fact, in 2016, fully 78% of screens in the Asia-Pacific region could show 3D, an astonishingly high proportion considering that in the US the figure was half that, at 39% (according to IHS Markit). And that 78% was a share of far more theaters, 46,949 3D-capable theaters in the region versus 16,745 in the US. Undoubtedly China’s share was larger than its neighbors in Eastern Asia and the Pacific Rim. Other areas of the world also had higher proportions of 3D screens than the US, though not by nearly as much. Europe, the Middle East, and Africa together had 45% 3D screens, and Latin America 43%. Thus the common wisdom is that Hollywood continues to make 3D films to a large extent to cater to Chinese enthusiasm for the format. Indeed, some films that are released only in 2D in the States are shown in 3D in China, including 2012 (2009), Looper (2012), Iron Man 3 (2013), Lucy (2014), Transcendence (2014), and Jason Bourne (2016). The latter ended up nauseating quite a few Chinese viewers, given its “run-and-gun” style compounded by the 3D. Naturally Hollywood wants to cater to this giant market, even though the percentages of the ticket receipts returned to the American studios by Chinese distributors are considerably lower than in the US and other markets. So why show 3D films in the US at all? Presumably there remains enough of a market for them that studios don’t want to risk leaving money on the table. Since they’ve laid out the extra money to make a film in 3D, they might as well show it. There are presumably some people, especially teenagers, who are much more likely to see a film if it’s in 3D. The question is, will the slow decline of 3D, with fewer films made each year and a lower share of the box-office contributed by them, eventually lead to the complete demise of 3D? Will the failure of 3D TV mean that fewer and fewer 3D films will be released for home-video in 3D? Already this has happened to some extent. In 2014 for the first time Disney released one of its successful 3D animated films, Frozen, only on standard DVD and Blu-ray. It has continued this policy. In England, though, some Disney films are still released in 3D Blu-ray. Remarkably, amazon.com offers the imported region-free Irish 3D Blu-ray, Blu-ray, and DVD combo of Moana at a bargain price, and it’s not from a third-party seller. We may be out of luck with Ralph Breaks the Internet, since Amazon UK has announced a Blu-ray-DVD set, with no 3D option. I for one would regret the total demise of 3D. There are relatively few films that I strongly prefer to see in their 3D versions, but it would be a pity if filmmakers did not have the option of making a film like Gravity or Cave of Forgotten Ancestors or Moana in 3D. It may happen, though. 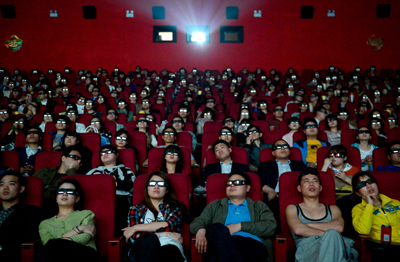 In mid-January an online post in Chinese speculated that people there were becoming less obsessed with 3D. (The original Chinese piece is here, with a brief summary in English here.) 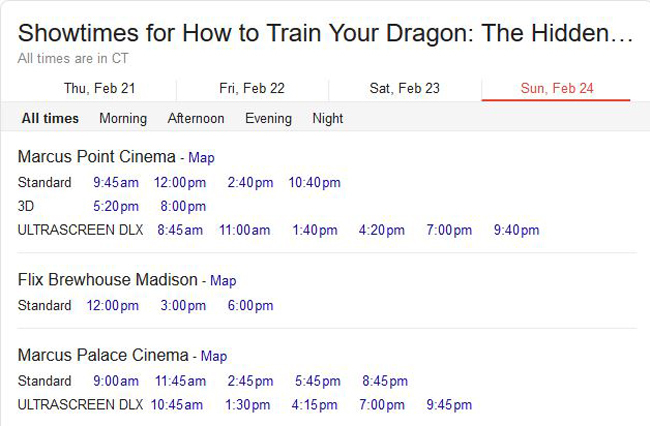 How long might take for Chinese moviegoers’ enthusiasm to cool to the extent it has in the USA? Perhaps within a few years China and other overseas markets will no longer provide an adequate support for 3D. 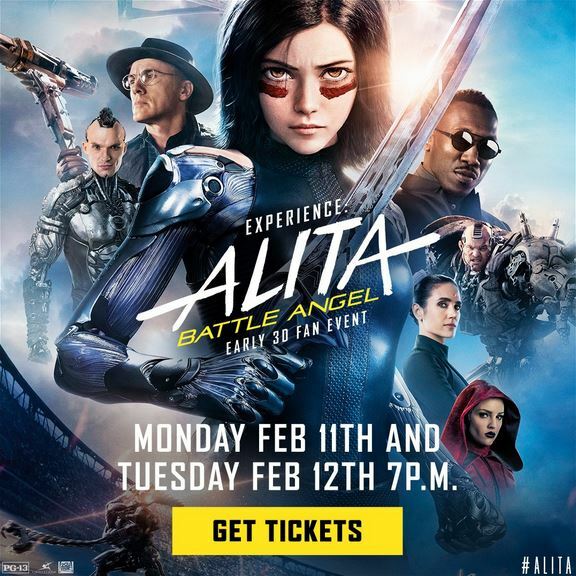 I post this on the second of two days featuring special evening screenings of Alita only in 3D, even as it shows. This has literally been publicized as an event movie, an “Early 3D Fan Event.” (See top.) Only one of our local multiplexes is showing this early screening. Interestingly, it’s the Marcus Palace, which seemed to avoid 3D for the earlier films for which I checked. This being a special fan event, modest swag is involved. 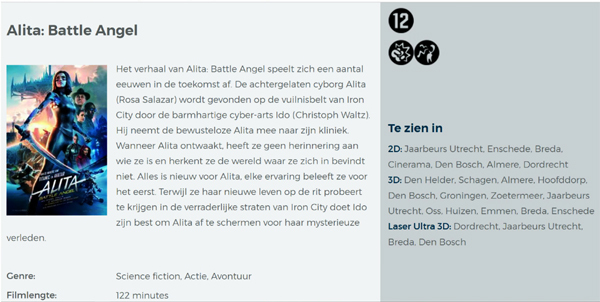 Cameron must be disappointed that 3D has not spread to the point where all screenings of Alita could be in 3D. The existence of this “3D fan event” basically acknowledges that there is a core audience for 3D and another audience, probably much larger, who usually, if not always, would prefer standard screenings. The 3D fans presumably are inclined to come to the film when it first opens, and this event caters to that habit–and ideally generates favorable word-of-mouth for the 3D version. The film has had a mixed reception from critics, with a 60% rating on Rotten Tomatoes. Nearly all the reviews I have read, even favorable ones, fault the script but praise the visual effects (by Weta Digital). Most do not mention the 3D. One enthusiastic reviewer, Molly Freeman on Screen Rant, did mention and laud the 3D, writing, “However, the true star of the movie isn’t the writing or any of the performances, it’s the visuals. 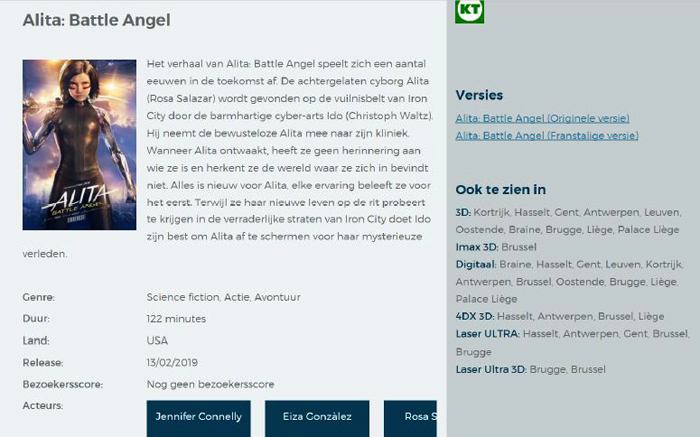 To the filmmakers’ credit, the visuals are absolutely stunning and if moviegoers have to choose only one 2019 release to see in IMAX 3D, Alita: Battle Angel is it.” This is a good news/bad news comment. On the one hand, Cameron would be glad to see the 3D in this film recommended so highly. On the other, it does suggest what is happening in reality: that many moviegoers are avoiding 3D unless it has the sort of event cachet that has been created around this particular film. And only time will tell whether audiences will take this advice, at least after the first week or two. Initial reports are not sanguine. Setting aside the IMAX screenings, New Vision has opted for one fewer 3D showings than standard ones. 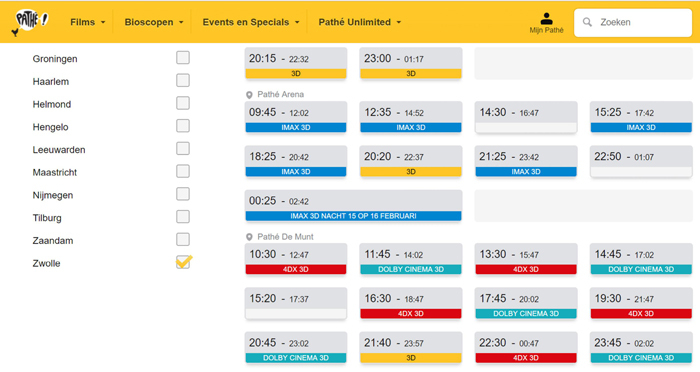 The two Marcus multiplexes have no 3D screenings apart from on their Ultrascreens. The same pattern carries into the following weekdays, except that New Vision has no morning matinees. 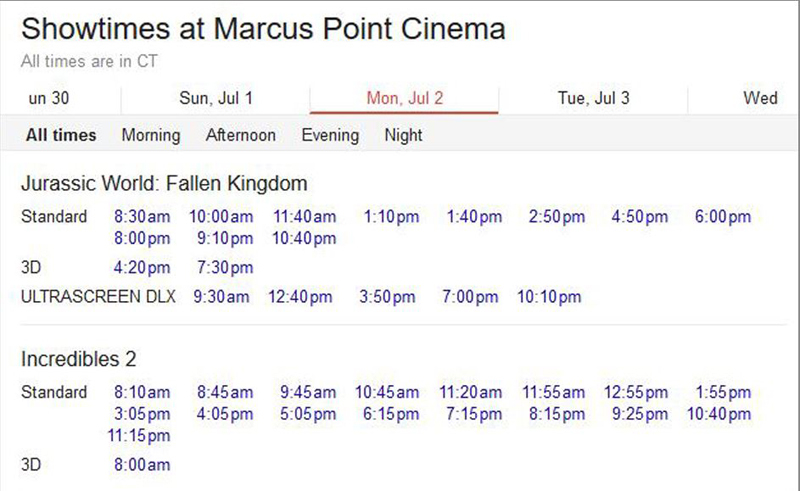 (The Marcus cinemas, as we’ve seen, starts some screenings as early as 8 am every day.) Marcus management seems to assume that 3D is less appealing on a regular screen than a PLF one, despite the double upcharge. This upcharge, by the way, is significant, especially for a family. An adult ticket for a 2D screening at New Vision costs $11.40, a 3D ticket $15.10, and a 3D IMAX ticket $17.21. That’s just about 50% more for the highest ticket than the lowest. IMPORTANT 3D NOTE: The key to the 3D experience is the light. You have been provided with both a general release 4.5 FL 3D DCP and a premium 6 FL-XBrite 3D DCP. Projecting an XBrite 3D DCP at the standard 4.5 Foot Lamberts of light will result in a dark, hard-to-see presentation. It was especially color graded at 6 foot lamberts and must be run at 6 FL. Projected in this way, it will look amazing! Conversely, if a general release 3D DCP is shown at 6 FL it will look overly bright. It must be run at 4.5 Foot Lamberts, and it will look terrific at that light level. Since you may have some auditoriums capable of running at 6 FL 3D with others that can only hit 4.5 FL 3D, please confirm that the correct DCP file is loaded in the appropriate theater and that each is run at its proper light level. This will make a huge difference in the presentation and to audience enjoyment. Thanks so much from Robert Rodriguez, Jon Landau, and Jim Cameron. I’m sure this is excellent advice, and I hope it is followed, especially at the Marcus Point multiplex near us. Still, I suspect not all theater managers enjoy being confronted with this sort of complexity. The takeaway from all this is that I and I’m sure many others, were right in predicting that 3D would remain a niche within popular cinema as a whole, confined largely to animation and to fantasy and sci-fi films. More interesting, though, is the fact that PLF auditoriums have proven more popular as a reason to get off the couch and go to a theater, even if the comfort, spaciousness, mega-multi-track sound, and huge screens come at a higher ticket price. Thanks to David Hancock of IHS Markit for his assistance over the years. Also, thanks to Steve Guttag and Russ Collins for information about 3D. For the story of how 3D became the Trojan Horse in the digital conversion of theatres, see Pandora’s Digital Box. Thanks also to Jim Healy for some expert opinions and for pointing me to the Rerelease News piece. Tuesday | February 12, 2019 | 3D, Directors: Cameron, Film comments | Comments Off on 3D in 2019: RealDvided? 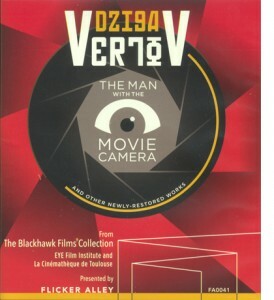 The Man with a Movie Camera. Every now and then we accumulate a few new DVDs and Blu-ray discs and write up a summary of each. This entry is the first time when all the discs discussed are Blu-ray. In fact, none of these releases is available in the DVD format. Soviet director Dziga Vertov is known primarily for The Man with a Movie Camera (1929), one of the most revered silent films. 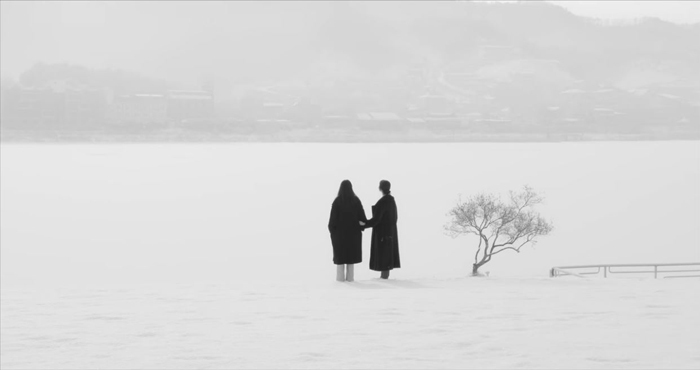 It is a documentary, an experimental film, a city symphony, and a witness to Soviet society in the late 1920s, all in one. Flicker Alley has done great service to silent Soviet cinema with its Landmarks of Early Soviet Cinema and the serial Miss Mend by Boris Barnet and Fedor Ozep. Now it has brought out a Blu-ray disc of a remarkable 2014 restoration of The Man with the Movie Camera. This version is based largely on a print struck from the original negative and left by Vertov with the Filmliga of Amsterdam, an early cine-club. It subsequently passed to the Nederlands Filmmuseum. The restoration added clips culled from other archival prints to fill in gaps in this copy, producing an edition that will be a revelation to many who are used to the scratchy, contrasty, and cropped prints that have circulated for decades. For one thing, seeing that missing left side of the frame makes a big difference. A booklet included with the disc points out that modern versions are usually taken from sound prints of the film, which required that the left portion of the frame be reserved for the sound track. As a result, that area of the image was cropped out. This new release restores the full-frame original, and the result is dramatically different from earlier versions. Its visual quality is also impressive (see top). Yet Flicker Alley has been too modest in emphasizing this as a release simply of The Man with a Movie Camera. The full title of the release is “Dziga Vertov: The Man with the Movie Camera and other Newly-Restored Works.” Yet the “Other Newly-Restored Works,” featured in very small print on the cover, are hardly incidental. They include features that many researchers and cinephiles have long wished that they could view in good prints–or any prints at all. These other works include most of Vertov’s famous features of the 1920s and early 1930s: Kino-Eye (1924), his first feature; Enthusiasm: Symphony of the Donbass (1931), his first sound feature; and Three Songs about Lenin (1934), a celebration of the tenth anniversary of the death of Lenin. I don’t think any of these films is as important as The Man with the Movie Camera. 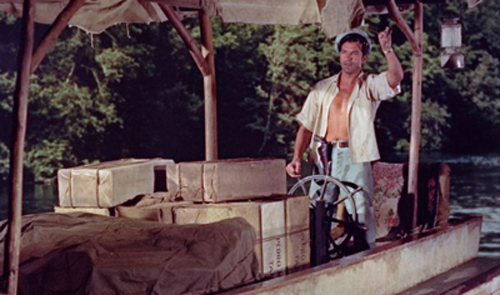 For me, Kino-Eye is the most charming, with candid depictions of peasant festivals and the like. It was Vertov’s first opportunity to stretch his ambitions after years of work in newsreels and documentaries. It has a spontaneity that perhaps disappeared in the later features. The disc includes an informative booklet that discusses both the films and their restorations. 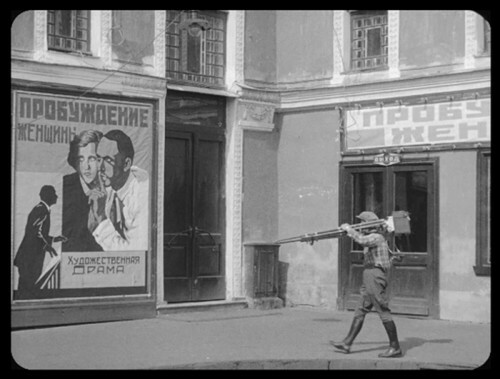 As an extra, there is the 1925 Kino-Pravda newsreel episode that Vertov made to commemorate the first anniversary of Lenin’s death. It incorporates rare newsreel footage of Lenin, cutting it together in ways that look like modern gifs. The visual quality is inevitably variable, with the earlier films looking contrasty, but these are no doubt the best versions that we are likely ever to have. This Man with a Movie Camera supersedes the one from the BFI (in the UK) and from Kino (in the USA), though many will want to have the latter for its lovely score by Michael Nyman. The Flicker Alley version has a very different, but highly appropriate, score by the Alloy Orchestra. Not all of Vertov’s early features are included. For those who want more, Edition Filmmuseum’s release of A Sixth Part of the World (1926), The Eleventh Year (1928), both with a Michael Nyman score, and one shorter film plus a documentary on Vertov, remains a necessity. This BD brings together a thoroughly heterogeneous collection of short items, assembled into two programs. The first, “The Dawn of Stereoscopic Cinematography,” covers the years from 1922 to 1952, with short films made outside mainstream Hollywood. 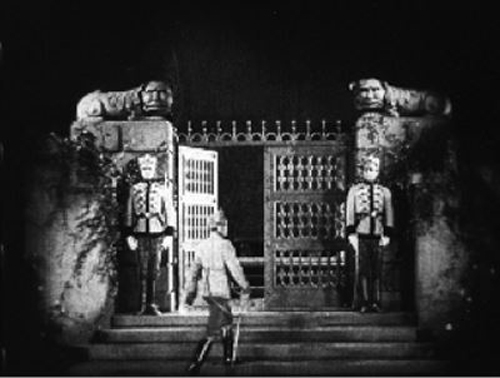 Some test footage by Edwin S. Porter and William E. Waddell shown in 1915 no longer survives, so the earliest films on the program are “Kelley’s Plasticon Pictures” (1922-23), including Thru’ the Trees, a travelogue of Washington, D. C. featuring shots of famous buildings framed primarily by foreground tree branches to create planes in depth. The items that follow range from promotional films to animated shorts to a burlesque comedy featuring two fairly tame striptease segments and two fairly unfunny comedians. A promotional film for Chrysler shown at the New York World’s Fair (New Dimensions, 1940) traces the assembly of a new Plymouth in great detail and with impressive animation, with the parts hopping around and sliding into place on their own. For many the highlights of this first program will be four shorts from the National Film Board of Canada, two of them by Norman McLaren. The first, Now Is the Time (1951), uses the filmmaker’s familiar drawn-on-film style (right), while the second, Around Is Around (1951), employs an oscilloscope to create more abstract patterns. Films by two of McLaren’s colleagues are also included: O Canada (1952) by Evelyn Lambart and Twirligig (1952) by Gretta Ekman. These films are among the only ones on the whole program where objects are not thrust or thrown “out” at the audience. The first program ends with an advertisement, Bolex Stereo (1952), a camera which supposedly was going to bring 16mm 3D home-movies into people’s living rooms. The complicated technology demonstrated shows why the idea did not catch on. The second program, “Hollywood Enters the Third-Dimension,” consists mainly of trailers interspersed with a few shorts. The trailers include It Came from Outer Space and Miss Sadie Thompson (both 1953). One fascinating film is Rocky Marciano vs. Jersey Joe Walcott (1953), and I say this as one who has no interest in boxing. This 16-minute black-and-white film starts at the training camps of the two opponents and moves on to the match itself, in which Marciano famously knocked out Walcott in less than two minutes. The in-ring controversy over the call occupies the last part of the film, giving the whole thing a distinct dramatic shape. Multiple-camera filming and 3D add visual interest. Stardust in Your Eyes (1953), a comedy short starring comic and impersonator Slick Slavin (aka Slaven in the credits), is said in the program notes to have been “a big hit at 3-D festivals. Judge for yourselves, but I advise keeping a finger on the next-chapter button for this one. Few of these shorts can be said to be important classics of the 3D repertoire, but overall one gains a sense of the surprising range of films made with the process. One also learns that thrusting guns, spears, swords, and even sling-shots toward the audience, as well as throwing stones and other missiles at them, never grow old as far as the makers of these films are concerned. 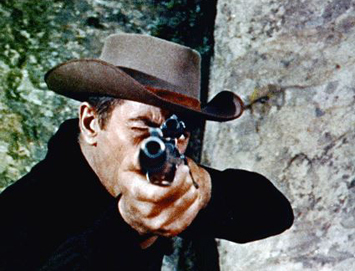 We have a pistol aimed at us in one of the “Kelley’s Plasticon Pictures” from 1922 (below left) and a rifle in the trailer for Hannah Lee (1953, right). At least we now have the 3D version of Mad Max: Fury Road to recharge this particular visual trope in highly original ways. 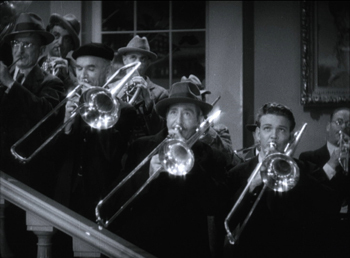 Way back in 2008, when this blog was a mere two years old, I reported on the first volume of a two-disc set of DVDs inaugurating the highly ambitious project, A Century of Sound: The History of Sound in Motion Pictures. That first volume covered the period to 1932. This one is entitled “The Sound of Movies: 1933-1975.” There was of course a lot more recorded sound in that period, and the new set stretches to four Blu-ray discs, for a total of over twelve hours of running time. I can’t claim to have watched all those hours, but every section I sampled boasted extraordinary amounts of information. Robert Gitt, who originated the project with a 1992 lecture, again narrates. 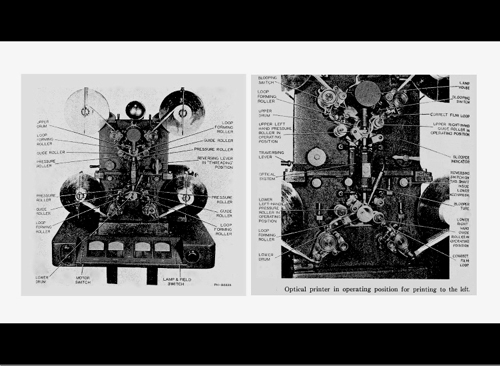 The coverage includes a huge number of rare diagrams, photographs, documents, and demo reels. 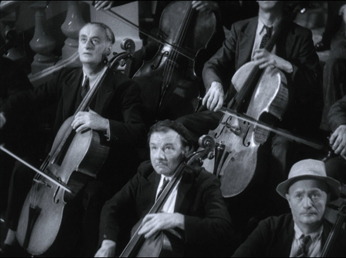 In addition, many of the chapters add clips from films that contained the most innovative sound techniques of their day. The Garden of Allah, Okhlahoma!, Medium Cool, and many other titles are excerpted in superb copies. The set as a whole is a gold mine for specialist researchers and technology buffs. The discs include long and detailed passages on such topics as push-pull recording and noise reduction, the latter a crucial challenge to the sound-recording industry for decades. Teachers who searched assiduously could find many clips suitable for classroom use. 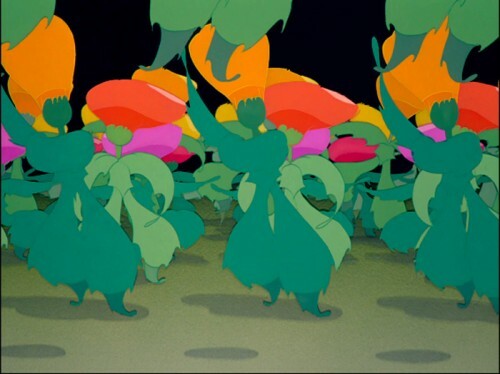 A thorough history of Fantasia includes the image below, typical of the sorts of material The Century of Sound presents: the Fantasound optical printer invented in order to print the multiple optical tracks used for the film’s stereo. And someone obviously could not resist including a goodly dose of the short dances from the Nutcracker Suite section of the film (see bottom). The Century of Sound is not for sale commercially. It “is available free of charge to educational, archival and research institutions and to qualified individual educators, researchers and scholars as a not-for-profit educational resource.” There is a modest fee for shipping. For information on ordering, write to CenturyofSound@cinema.ucla.edu. Flicker Alley’s release of This Is Cinerama provoked David to a survey of Cinerama aesthetics in an earlier entry.